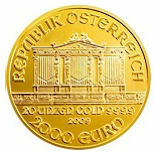 Welcome to Fisch - Dont buy fake gold coins. Get the Fisch. Protect your gold investment. The Fisch with the Ringer makes you your own gold expert. 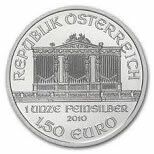 Just check the gold coin with the Fisch and the Ringer. 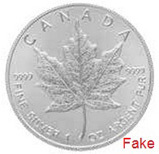 If it passes, it is not a common metal or tungsten fake. 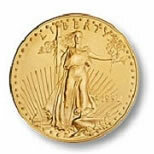 Used by major banks, bullion dealers and investors in over 70 countries around the world since 1980. 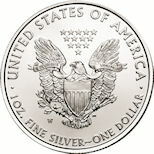 Checks the major gold & silver coins - Krugerrand, American Eagle, Maple Leaf, Philharmonic, American Buffalo, US $20, Sovereign, Mexican 50 Pesos, Silver American Eagle, Silver Maple Leaf, Silver Philharmonic, US Silver Dollar and more. 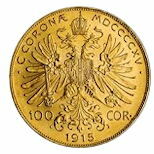 The Fisch checks the weight, diameter, thickness and shape of a gold coin. 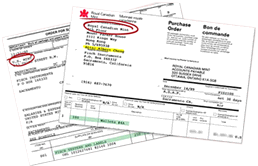 These 4 checks will detect all common metal counterfeits. The Ringer detects tungsten counterfeits. The Ringer detects common metal counterfeits. Listen here! 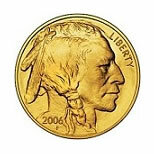 Genuine American Eagle gold coin versus a tungsten fake. 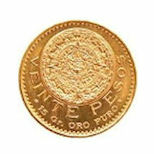 "My Fisch have already prevented me from purchasing 3 counterfeit Mexican 50 Peso coins - The coins were the exact correct weight but were slightly too thick and slightly too large in diameter. I have also found many British Sovereigns which checked oversize or too light. Many were from supposedly reputable dealers." "Actually, that reminds me, I've been using a Fisch fake detector for years on krugerrands ever since I saw a big dealer in London using one on sovereigns." "The Fisch is very simple to use and effective. It's already saved me more than the purchase price." 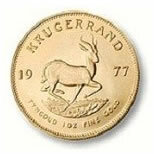 "I'm so glad I had the Fisch, as one of the Krugerrands definitely did not fit. The color appeared the same as the others. By weight in hand I didn't notice anything significant. The width of the coin started to pass thru the slot, however, about 1/4 of the way thru it couldn't continue passing thru. The diameter was way too big. I immediately rejected the coin and requested a replacement." "But, I loved your tools. I got a counterfeit Maple Leaf the other day. Only passed the shape test. Made my job easy." "Well,ninety minutes later the Fisch had flagged up eight coins as being oversize in diameter,the coins would not pass through the slot, or fit in to the recess.. All of the coins passed the weight test. I also rejected one coin for being oversize and a strange colour. The coin dealer replaced the nine coins with no problem at all." "Your gauges saved me $4000. Paid for themselves many times over." "It sure put my mind at ease. I had a few I was suspicious of. The Fisch proved they were 100% good." "If it wasn't for the Fisch, I would have bought a phony gold coin." 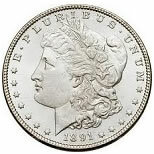 "The detectors are a breeze to use, am I am pleased to report that all my coins checked out just fine (whew!) I will be much more confident about making purchases in local coin retailers now--the peace of mind these detectors provide is priceless!" 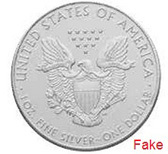 "I checked a 100 Corona coin today and it was fake, too large around, too thick, and not heavy enough. Your product saved me a fortune. Thanks again." "Hi... I purchased the full set of gold detectors and love them. In just over a year, I've already they've already saved me from purchasing 2 fake sovereigns and one Mexican 50 peso." 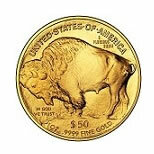 "... the Fisch system to detect bogus gold and silver coins is well worth considering. I've used the Fisch system for over 25-years now and I can attest to the impeccable reliability these instruments offer." 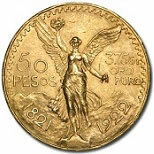 "I've had only two occasions where Mexican 50-peso gold pieces were detected, failing the "weight" check when subjected to the Fisch system. The coins were drilled and filled with lead. 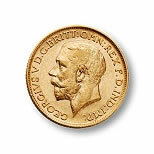 The edges of the coins were re-plated with gold and almost non-detectable to the untrained eye." "I have used these little instruments since the big rush circa 79-80, and have never seen them fooled by a fake, though they have identified many "off-weight" fakes over the years." "I showed The Fisch to my local dealer and he pulled out a Krug he was stuck with that he knew was counterfeit. Anyhow...the detector worked like a charm--the coin couldn't pass all the tests." "For less money than a cheap shotgun, your readers could add to their arsenal of tools for not getting cheated if in some future the normal economy has become discombobulated." 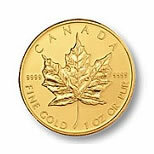 "I'm thrilled with them--very easy to use, and I'm pleased to say all my gold passed the test (whew!) 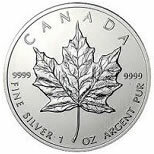 If you are concerned about picking up a counterfeit coin, I really recommend these--I feel much more confident about making purchases now." "Of late, I use a Fisch, but I have physically measured and weighed in the past. IMHO, the Fisch is convenient without being too complacent. I don't buy frequently, but when I do, I want what I'm paying for." 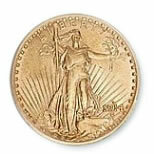 "Never, but NEVER sell short the idea that there ARE fake gold coins out there. 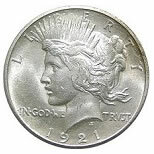 In the years I have been buying, trading, collecting, and generally dealing in PMs and numismatics, I have encountered MANY different fakes. I have used these little instruments since the big rush circa 79-80, and have never seen them fooled by a fake, though they have identified many "off-weight" fakes over the years." "I use a Fisch gold detector - pretty much foolproof. I've got wallet #2, which contains detectors for my main purchases - Krugerands and Sovereigns. I buy from a trusted coin dealer who's already checked the coins and doesn't mind in the slightest when I check my potential purchases..."
"I test all my coins using a Fisch gold detector device to ensure they're real." Get yourself a Fisch, much easier and portable than a scale and set of calipers when out shopping. "An easier and more practical way to test the density of a coin is to use a tool called a Fisch, a plastic tool that first checks the physical diameter and thickness and finally serves as a simple tip balance to test the weight... This tool is highly recommended by gold dealers and bankers..."
"Received my order today. Thanks for the prompt shipment. Good service is hard to find these days and I appreciate it when I get it. I had a very good idea what the Fisch looked like from the website, but I wasn't expecting them to be contained in such a nice binder." "Thanks for the quick response. Great product. Great customer service. I really appreciate it." "Thanks for the fast shipping, and a great and elegantly simple product." "Wow! Got it in 3 days, that was FAST! I really like it, quite ingenious and quite well-made." "I want to compliment you on the service and on the Fisch. I received my order on Monday afternoon and the timing couldn't have been better. I am going to look at some Kugerrands this afternoon. I am interested in the unit for checking the Maple Leaf so please email me back and let me know if I can order it using the card info you already have."